According to our current knowledge, force of gravity depends only on the mass of an object. Science tells, that if Sun would shrink enough, to become a black hole, it wouldn't have no effect on the orbital motion of planets in Solar System. What I need to do, to prove my idea, is to measure the acceleration of a body, which is attracted towards the center - but better will be to measure instead the force of attraction itself, as acceleration can be affected by friction between the surface and the body - for different densities of central bodies. Another thing, which I can check, is to see, what will happen, if I change the density of attracted body - combined, it gives me 4 possible measurements to compare. This is a science forum, not the place where you post your personal fringe theories. There is no such thing as a Rubber sheet model for gravity. There is the Rubber sheet analogy. The difference is that the analogy is just a way to help laymen visualize the concept of space-time curvature, while a model is used to make actually predictions of the behavior of objects in a gravity field. No physicist has ever used the Rubber sheet analogy to make real predictions of the behavior of gravity. This is because, like pretty much any analogy, it is not a totally accurate representation. For example, space-time is represented by the 2D sheet, but the masses are 3D objects. A more accurate representation would have the "masses" be part of the sheet. Here is cross-section view of how this works. 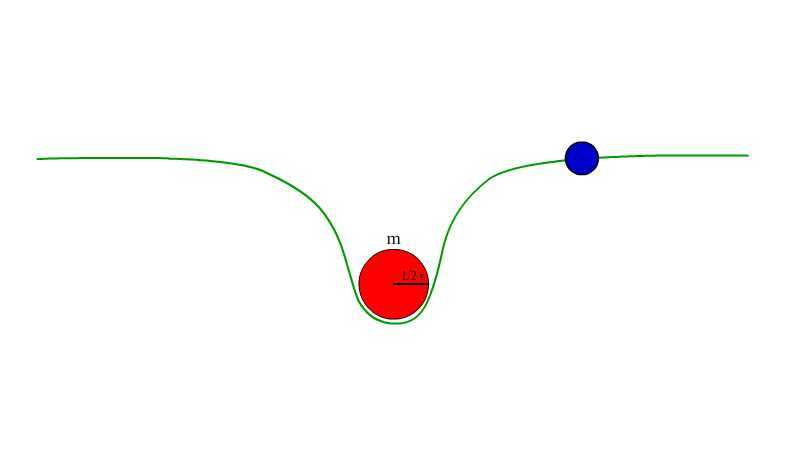 There is no "circle" that represents the mass, Just points on the curve that show where the surface of the mass would be. The part of the curve in between the vertical lines is gravity below the surface of the mass. The outer two lines in this diagram show the surface of the Earth. Outside of the lines is gravity above the surface, inside is of them is below the surface. 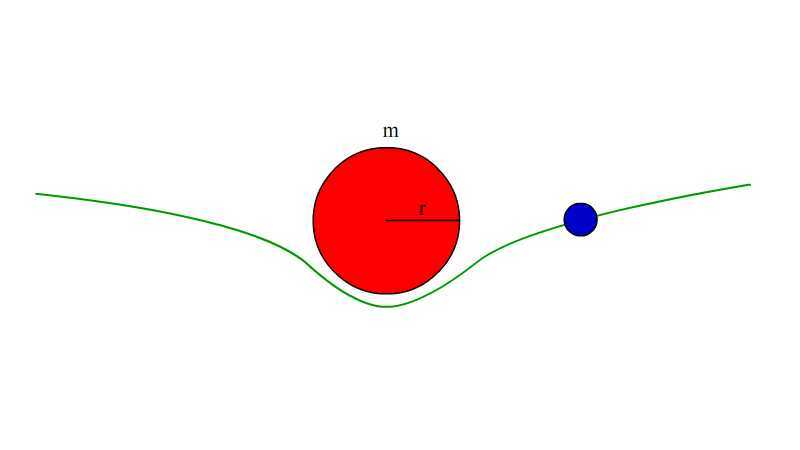 The red curve is for a object with the same mass, but denser than the Earth. The red vertical lines mark of its surface. Everywhere outside of the lines which mark the distance of Earth's surface, the two curves perfectly overlap. It is only when you get closer to the denser object than Earth surface distance that the curves deviate. This is an excellent post but it totally misses his point: he's denying the validity of the Shell Theorem. As such, his post has no place in this forum.